Bathroom renovation using tiles as flooring type has increased in demand due to their adaptability and resilience. Besides, tiles can be installed in various environments, and an individual should not worry about constraints like allergic odors, stains, and water. Tiling floor of bathrooms is now popular as tiles offer tremendous benefits and more of it, excellent value for the budget. With the remodeling of bathrooms with tiles, they are economically significant as they come in various colors, patterns, and textures. At the same time, it is possible to mix and match available colors. 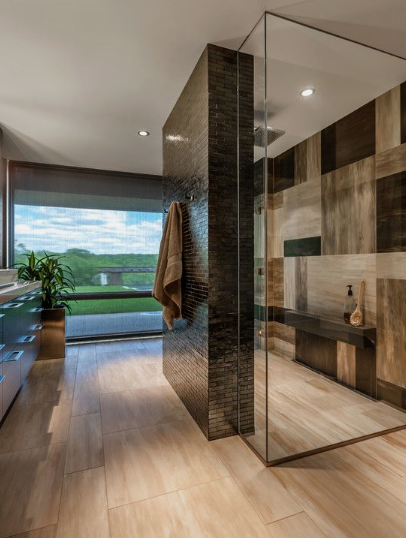 When remodeling your bathroom using tiles, the bathroom looks fabulous. It looks nice with technology advancement unlike the earlier days with wood or natural stone. The companies are using the advanced technology while making tiles that have finishes that are close to a natural wood or stone finish. It has led to the aesthetic look. When your bathroom has stones, and then it breaks, it is not that easy when replacing it. Every stone lot has a difference in pattern or color. When you remodel using tile, it becomes easy to replace large or small quantities in the future. When you do good tiling, it becomes easier to maintain the tiles, unlike natural stones. Tiles don’t stain, and therefore, they are easy to clean. Besides, they also resist wear and tear. When having your bathroom without tiles, you will be required to polish the floor regularly increasing your upkeep than tiles. With tiles on the floor, they are hard to crack and stays longer when well maintained. It is therefore essential to tile your bathroom because tiles will extend your floor life.